Emmanuel Bett (KEN) continued his impressive recent run of form with victory in the 32nd Cross de la Constitucion de Alcobendas. Bett was locked in battle with the World Cross Country Championships Bronze Medalist Teklemariam Medhin but used his superior track speed up the finishing straight to take victory by one second. Timothy Toroitich (UGA) took the final place on the podium in third. Former World 10,000m Champion Linet Masai (KEN) took second place behind Hiwot Ayalew (ETH) at the Cross de l’Acier in Dunkirk. In a virtual rerun from Atapuerca last weekend Masai pushed Ayalew all the way to line but was narrowly edged out. 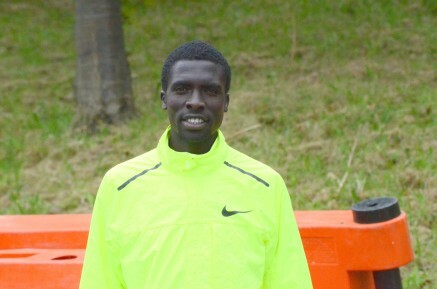 On the roads Joseph Ebuya (KEN) won the opening 5km stage of the Chiba Ekiden Relay in Japan. Ebuya’s time of 13:30 began the Kenyans team march to the title for the third successive year. At the British team trials race for the European Championships Steph Twell (GBR) earned automatic selection by finishing in third place. Twell will compete at the European Championships in Belgrade on December 8th.